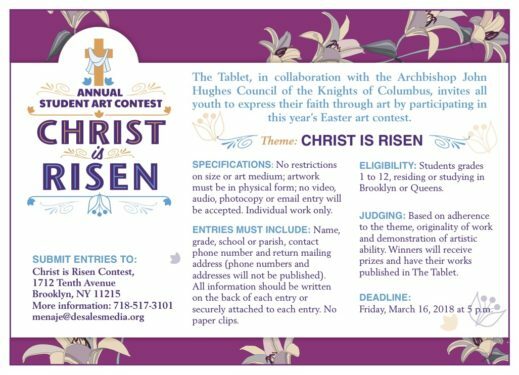 Christ is Risen Easter Art Contest is Underway! P.S. I Love You Day is held on the second Friday of February at Bishop Kearney H.S., Bensonhurst. 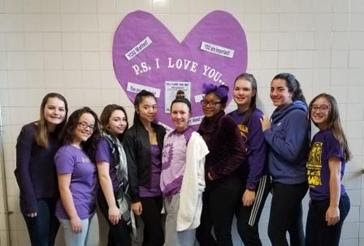 This year, the Student Council sponsored a Dress Down Day and asked students to wear purple to encourage positive attitudes and spread love in order to decrease bullying, and promote mental health awareness. 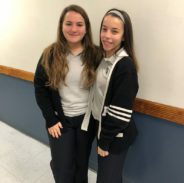 Fontbonne Hall Academy, Bay Ridge, students Kristina Scarfo and Teressa Martinelli were honored to receive award badges for their research papers, which were submitted to the Regeneron Science Talent Search, the nation’s oldest and most prestigious science and math competition for high school seniors. Teressa also earned the Regeneron Science Talent Search Research Report Badge along with the Student Initiative Badge for her well-written college-level research report and her extraordinary effort and accomplishment relative to the resources available to her. Teressa’s paper is entitled “Increased Risk of Attentional Bias in First-Time Parents Exhibiting Symptoms of Stress, Anxiety, and Depression During Pregnancy,” and she worked for two years under the mentorship of Dr. Clancy Blair at New York University. 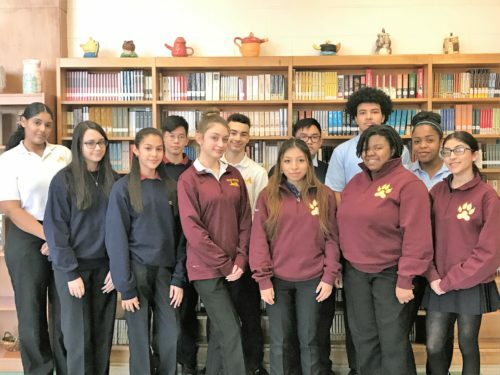 Both students are members of Fontbonne’s Science Research Program, which is a three-year sequence of classes that allows students to choose an original area of investigation and work under the guidance and coaching of a research scientist to complete the project. Students enter their papers in the Regeneron Science Talent Search along with other local research competitions in their senior year.